Prime 1 Studio has opened up pre-orders for their outstanding new DC Comics – Cyborg Superman 1/3 Scale Statue. The statue will stand at 37″ tall, as Cyborg Superman stands atop a themed statue base. The statue includes a wired fabric cape, an interchangeable right forearms, interchangeable left hands, and a Hank Henshaw portrait. There will be an Exclusive Version, which will include everything from the standard release, as well as an additional Zor-El portrait and an additional swap out right arm. Payment plans are available for the release, and the statue is expected to ship between April and June » Continue Reading. 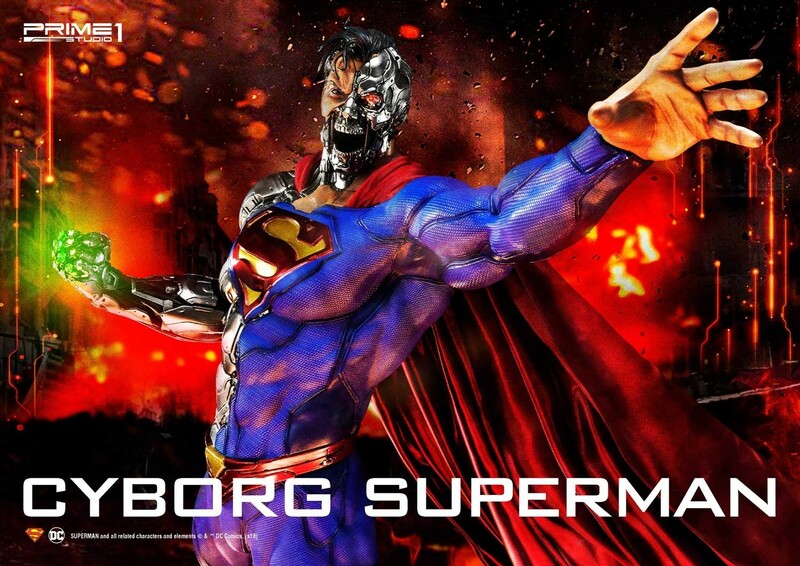 The post DC Comics – Cyborg Superman Statue by Prime 1 Studio appeared first on The Toyark – News.